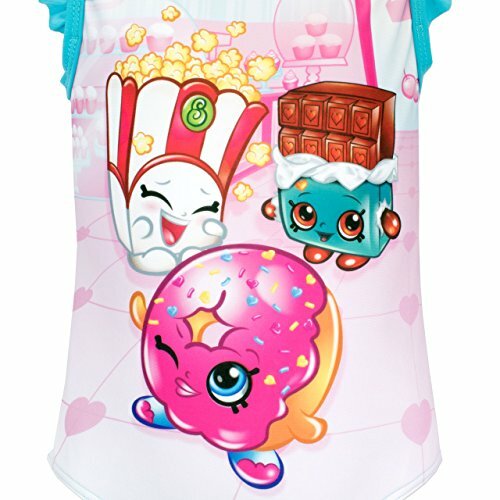 Girls Shopkins Swimming Costume. 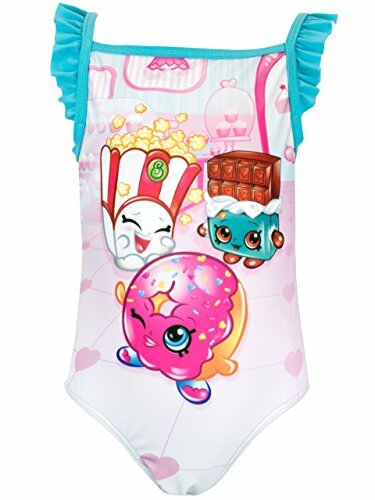 She'll be the sweetest looking little girl this summer in this cute Shopkins bathing suit! With favourites such as Donna Donut, Poppy Corn & Cheeky Chocolate in the cute all over print, her friends will be wanting to know where they can get theirs from! Featuring a large print of Donna Donut, Poppy Corn and Cheeky Chocolate, this bathing suit is ultra sweet.